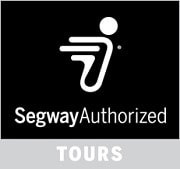 Jens has been working for Segway Tour Stuttgart since the very beginning. Born and raised in Stuttgart, he knows the city inside out. Jens loves to share his fascination for the Segway PT and is very dedicated to show Segway beginners the easy handling of the futuristic vehicle. When Jens just isn’t “on tour” with the Segway, he works – no surprise – for a major Stuttgart car manufacturer. Thilo was born and raised in a suburb of Stuttgart. Except for some adventurous trips he remained faithful to Swabia. With his cheerful manner, he gets his guests enthusiastic about Stuttgart and by the way shows them the most beautiful spots. He says: “When driving a Segway everything is just a lot more fun!”. In his free time Thilo is passionate about snowboarding and uses every opportunity to hit the slopes in winter. In summer, he swaps to biking or meets his friends. If Thilo isn’t guiding a Segway tour, he studies electromobility at the University of Stuttgart. Niklas is always up for a bit of fun and with his open disposition he guides his guests in an entertaining way to the many beautiful places of Stuttgart. He says: „Especially on the Segway sightseeing is all the more fun “. In his free time, Niklas plays badminton and volleyball. He is also always present on long club- and bar nights with friends in the city of Stuttgart. When Niklas isn’t just on the move, he studies Renewable Energy Engineering at the University of Stuttgart.